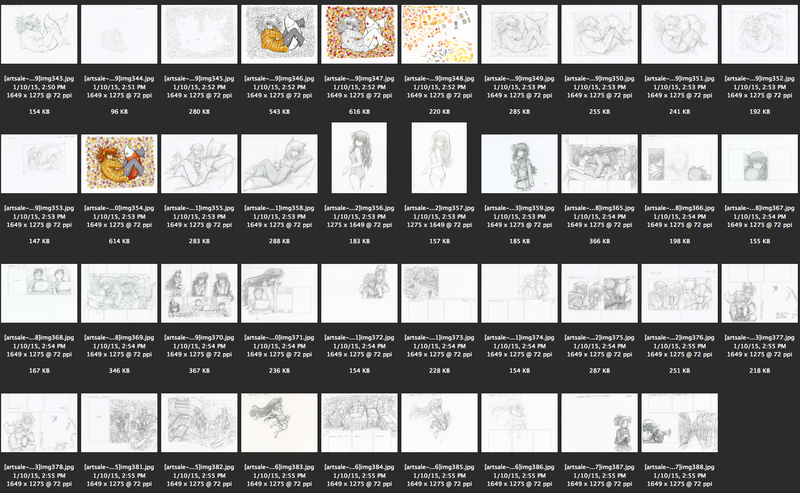 Note that most of these are sets of drawings - when you purchase a drawing, i usually try to include rough sketches and other related material. 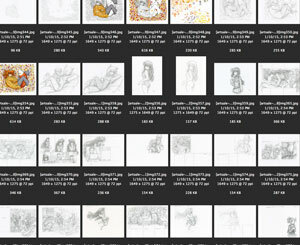 Drawings that were used in actual Megatokyo comics will come with a signed printout that identifies which comic and where the drawings were used. These are one of a kind items - original pencil drawings are on HP Bright White inkjet paper (like all Megatokyo artwork has ever been :P) and the COPIC colored ones are high resolution prints hand colored with COPIC marker (you can't color over pencil, it smears, so i have to color over pigment-printed prints on heavy matte photo paper). Anyways, there is a lot to choose from, so if you are interested be sure to check them out in the Original Art section of the MegaGear store.